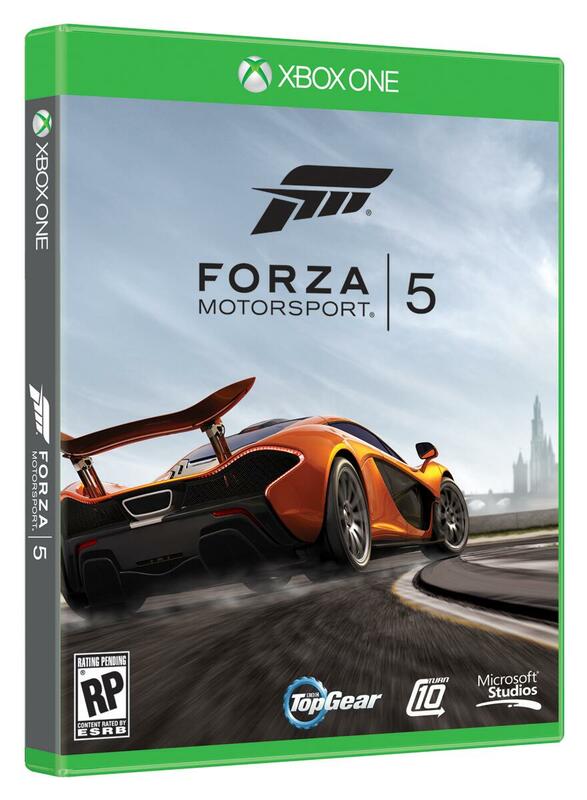 I did a short blurb about Forza Motorsport 5 in my Xbox One post, but I've enjoyed the game so much I felt it deserved its own review. Forza is one of those games that hasn't changed much from version to version. I can understand why. You don't want to mess with success. There are a few minor changes from 4 to 5 that I didn't especially care for, but plenty of positives that make this game clearly the best of the series. Let's get right to it. This game is beautiful! The graphics are gorgeous. Turn 10 really put forth some effort to get everything to look right. 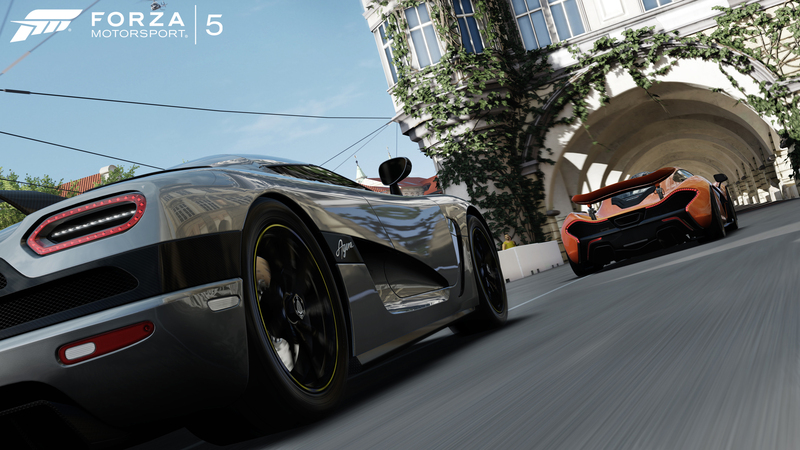 Even the reflections of buildings on the cars is spot-on. Several times I found myself mesmerized by the reflection in the rear window or trunk, only to find my car sliding off onto the dirt track. It is just as easy to get lost in the surroundings. I had a friend who went to the Indianapolis 500 and said the experience was re-created down to the last detail. My uncle raced at Sebring and was shocked at the accuracy of the job they did at building the race track in virtual space. My only knock on that part of the game was the seemingly small amount of tracks. While you were required to tackle each track in a number of different ways, both in direction and layout, there were only twelve original tracks in the game. Thirteen if you count the Top Gear Test Track, which was used for game-like challenges that included knocking over a certain number of bowling pins or navigating between barrels. There are 587 races (If I did my addition correctly), and you don't need a mathematician to tell you that you've got to stretch twelve tracks pretty far to cover that much ground. However, it was a nice round number that allowed you to learn all the tracks, backwards and forwards. Among the many aspects of realism in Forza 5 that I liked was the fact that they no longer just give you cars as a reward for leveling up. In Forzas 2 and 4, you were given a new ride each time your driver level was raised. Not so in Forza 5. In this game, you have to earn your cars. You could do this by either winning races, leveling up, or completing "series." There are six groups of races with between three and six series per group and around eight races in each series. Completing a race nabs you between three and ten thousand dollars, depending on the race and your finishing spot. If you finish a series, you get twelve grand and some bonus tracks. A new level gets you thirty-five thousand dollars. This may sound like a lot of money, but when you're trying to buy a million-dollar Ferrari, it takes some time to put together a big enough nest egg to purchase that dream car. 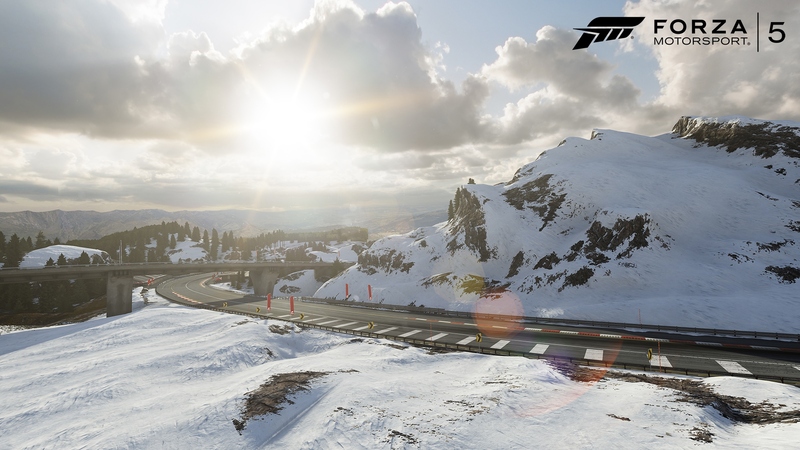 One of the welcome new additions to the Forza line-up are the Drivatars. These are, as I'm sure you've surmised, driving avatars. The game takes three races to learn your personal style, then refines that style over the remainder of your career. Any time one of your friends races, your Drivatar takes part in their race. The game keeps track of when you make a "Good Turn" and a "Perfect Turn" in order to allow your avatar to perform to a similar level in the same situation. Not only is it fun to pretend you're playing against your friends and, in a way, you are, but your Drivatar makes money when it takes part in other races. I don't have a ton of friends with this game, but I still get daily updates with regard to my Drivatar's earnings. There was very little about this game I didn't like, but I would be remiss if I didn't at least mention a few things. The first is the tendency for Drivatars and online gamers to treat an Audi R8 like a bumper car. The multiplayer was especially bad, although the problem existed in single player, as well. Let's be honest, nobody is going to enter a race with their $4 million Bugatti Veyron Super Sport and act like they're in a demolition derby. I was as guilty as the rest in single player, but I tried to show a little respect when playing against other live gamers. They weren't offering the same olive branch, unfortunately. Aside from the opposing players' attempts to painfully crush you, there was very little else that bothered me about this game. Although at times this had more in common with Burnout than Gran Turismo, I suppose it isn't up to Microsoft to decide how you use their simulator. They were tasked with making a believable physics engine with realistic sound and response, which they did quite well. At first I didn't care for the removal of the "Car Ahead" and "Car Behind" times that were frequently flashed across the screen in Forza 4, but I eventually got used to the new style of play and simply kept an eye on my mini-map to ensure I was keeping other players at a safe distance. Did you know it's pronounced like "Pizza?" Fort-za. I didn't until I watched some reviews of Forza 4. We established in my last choral performance that Italian is not one of my stronger languages. Anyway, I got this game on Day One and I've been playing it ever since. I only have six series to go out of forty-one, so I'm not doing too badly. 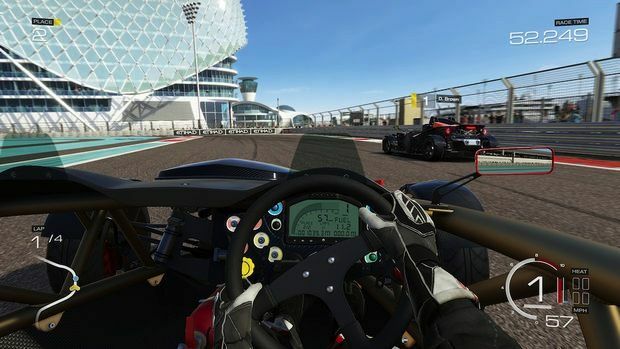 If you're a fan of racing simulators, you can't go wrong with Forza 5, especially since Gran Turismo 7 isn't coming out for another year-and-a-half. It's the perfect mix of enough tuning and upgrades to satisfy a gear-head while not turning off a know-nothing like myself. Heck, any game you can play almost daily for nearly three months without starting over or losing pathetically is a quality title. Penalties: -1 for taking away the "Car Behind" notification. I relied heavily on that to know where the competition was in relation to my vehicle. Bonuses: +1 for the most realistic driving game I've ever played. The graphics, sound, and controls are superb! POSTED BY: Brad Epperley - Guy who REALLY wants a Bugatti Super Sport. Nerds of a Feather contributor since 2012.